Wealth of UK’s Richest 100 Rose Last Year to Two Hundred and Nine Billion While One in Three people in the UK Live in Poverty. The wealth of the richest 100 people rose last year to £297billion – more than the wealth held by 30% of the population. This rise in wealth could pay the energy bill for all 26.4 million UK households for over a year. Jason Beattie writing for the Daily Mirror. Yes you read that correctly: The increase in the wealth of a mere 100 people could pay all our energy bills for more than one year! While millions have shivered in unheated homes suffering the consequences of such with ill health even death, the over privileged in our society have seen an increase in their obscene fortunes. And that is just the increase in the wealth of these parasites who have become increasingly more rich while the overwhelming majority of us have suffered as a result of our unelected government’s austerity measures. Measures which moreover have fallen disproportionately on benefit claimants, including the seriously sick and profoundly disabled. Did you know that the UK has more billionaires per head of the population than any other country? The number of billionaires has risen to over one hundred with a combined wealth of £301 billion. This number has tripled in the last decade. Yet increasingly more and more people are pushed into poverty – in fact a staggering one in three. A study led by Bristol University, has revealed the following shocking facts concerning the rise of poverty here in the UK. Almost 18 million cannot afford adequate housing conditions. 1.5 million children live in households that cannot afford to heat the home 2.5 million kids live in properties that are damp More than half a million children live in families who cannot afford to feed them properly 12 million people are too poor to have a social life 5.5 million adults go without essential clothing One in every six adults in paid work is still poor. The UK today is one of the developed world’s most unequal countries. What are we going to do about it? And when are we going to do it? If we do not take action to stem the tide of inequality, as inconceivable as it might be, we could one day finish up like India where millions live in abject poverty, were 20 – 40 million disabled people receive little or no support, where if you cannot work you do not survive. Poverty, and lack of care for those unfortunate to be sick or disabled is a tragedy in India, a grave social injustice. It is a grave injustice anywhere in the world in any varying degree, including here in the UK , when sick and disabled people are discarded, when people have insufficient food, or die of hunger, live in poverty with poor or no shelter and frankly no hope while others live decadent lives gathering more and more wealth, squandering the earth’s precious resources for their own selfish ends seemingly with no conscience, no thought or care about their fellow human beings , other creatures or the every earth itself. We cannot allow this government or any other to destroy the progress of the last sixty years. We cannot permit the destruction of our welfare system that provides us all in times of need as a result of unemployment, ill-health or disability. A welfare system that we paid for with our National Insurance contributions. We want what we paid for and moreover we want a fair deal for all those who through no fault of their own could not contribute either as a result of ill-health, disability or unemployment. No one should go hungry, cold or become homeless regardless of who we are or how much we have or have not contributed. In a land of plenty – well for the obscenely rich – where shops are brimming over with food in abundance far in access of our combined needs we cannot stand by and allow people to go hungry. The fact that they do is shameful. The fact that half a million children live with parents who cannot afford to feed them properly is a national disgrace, not only for our government of millionaires whose interests are for the rich, but for all those of you who condone the systematic destruction of our welfare system falling for the Tory rhetoric of scroungers and skivers, a shameful propaganda similar to the one used by the Nazis to turn people against the sick and disabled prior to World War Two. Be under no illusion, austerity is merely an excuse to plunge people into poverty, enslave them to low wages or no wages, as in the case of workfare, and discard sick and disabled people to a life of destitution replying on whatever charity can hand out. In short we cannot allow one in three people including children, the elderly, the sick and disabled, to lead impoverished lives while billionaires and millionaires accrue increasingly more wealth. When are we going to say enough is enough before it is too late ? Changes to Housing Benefits have led to desperate housing insecurity. What this means is in practice is families unable to plan for the future, children going to bed at night frightened of losing their homes or desperate stress and worry for disabled people receiving help with the Bedroom Tax and knowing that support could be removed at any time. Welfare cuts one year on: Now Britain’s poorest are on par with former Eastern block. 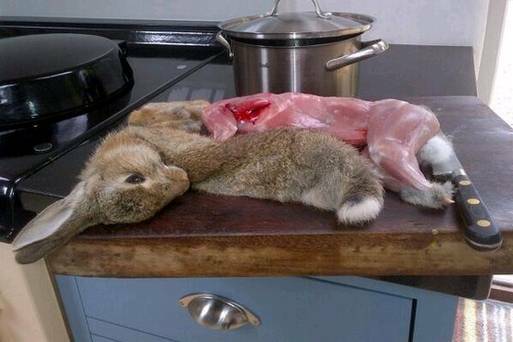 After the British writer, broadcaster, activist and former vegetarian Jeanette Winterson caught a rabbit eating her roses and sprouts in her Cotswolds garden, she killed, skinned, boned, cooked the animal, fed the innards to her cat and took several photos which were posted on her Twitter account. Winterson even joked about crafting a glove puppet with the animal’s head. The Twitter backlash, she’s now facing, hasn’t frightened her. She defies animal rights activists and pledges to continue to cull rabbits because she considers them a pest. What Winterson seemingly doesn’t know is that the last few decades have seen the rabbit population of the UK almost destroyed due to the highly contagious rabbit hemorrhagic caused by a calicivirus that affects only wild and domesticated European rabbits. “Oranges Are Not the Only Fruit” was the first novel of Jeannete Winterson. Perhaps, she’d now write a new book about the culinary arts with the title “Rabbits Are Not the Only Animal”. 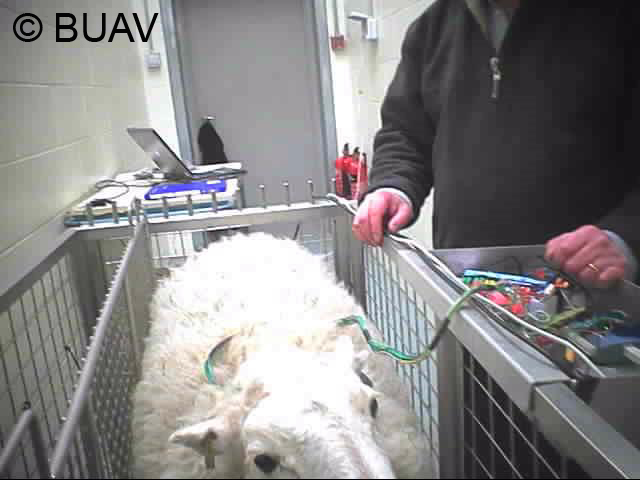 BUAV (British Union for the Abolition of Vivisection) have uncovered cruel experiments taking place at Cambridge University using sheep imported from New Zealand – yes of course all experiments are cruel, animals are not here to experiment upon or use in any other way for man’s convenience. Such is an anachronism of past thinking, not worthy to be of consideration in a modern world and not worthy of a just society. Warning! Disturbing footage. The film becomes increasing more distressing as it progresses. The discovery came as a result of an undercover investigation by BUAV that has revealed the inhumane use of sheep for research into neurological disorders, including Batten’s disease a rare genetic disorder, and Huntington’s disease. It is important to note that sheep’s brains are not the same as ours and though they sufferer similar conditions the disease does not manifest the same and mimics only some of the abnormalities which present in humans. In addition the main genetic mutation responsible for Battens in humans is not found in sheep. Consequently the experiments are unreliable. During the course of the experiment the unfortunate animals suffered intensely including, having a brain implant – one poor creature suffered additionally as an impatient member of staff rammed her into the crush cage breaking her leg. The sheep have a condition that mimics only some of the abnormalities seen in people with Batten’s disease. The animals suffered greatly, in particular experiencing eyesight loss and disorientation. As their condition worsened they struggled to walk in a straight line and would bang their heads into stationary objects. They experienced weight loss and strange head movements. One sheep called Janet suffered severe weight loss and became virtually blind. She was eventually killed because of her suffering but was inexplicably left for several days in a pitiful state, even though it was acknowledged she would have to be killed. Some sheep had invasive implants inserted into their brains. The implant caused a large head wound, which if the sheep knocked their heads could worsen. Packs connected to the implant recorded brain activity for 24 hours. The sheep were kept in this facility undergoing behavioural tests and monitored as their condition deteriorated until they died or were killed. The above information is from BUAV website link below. I have included a postal address for Professor Borysiewicz for anyone who wishes to write a letter. Though E-mail of course is effective, a letter is less easy perhaps to overlook. It is important to be polite even though like me you may be angry. The brutality and callous indifference with which people harm animals, such as those who conduct experiments upon helpless creatures, never ceases to disturb and shock me. I cannot understand the mentality, the lack of humanity and compassion for a sentient being, a creature who, like the person who conducts the experiment, suffers pain, experiences fear and wishes to live a life free from such. Experiments on any sentient being are unethical in the extreme and make no mistake sheep are sentient creatures. If you think you can outsmart a sheep, think again. If you’re up to no good, then they’ll be on to you in no time. Whether you want to trim their hooves or administer medication, they’ll know about it even before you do! “Are they stupid… ? Janet laughs: “You must be joking. There’s the gang of three and working together they can open any gate on this farm. They stick their tongues through the holes in latch gates; if a bolt is stiff, one will lean against the gate to ease the pressure while another slides the bolt back with his mouth and the third kicks it open.” Adopt a Farm Animal org This amusing account indicates quite clearly that sheep are not only intelligent, but intelligent with a good deal of ingenuity, they have an obvious ability to solve problems and work things out and to also work in groups indicating communication between them. Even though we may not in any way be aware of such communication it obviously takes place as the above clearly demonstrates. The sheep here have clearly worked out between themselves how to open the gate. The world appears to be a very uncaring place, where callousness, indifference, cruelty, exploitation and all manner of abuse is rife. With the event of the Internet the atrocities towards human and non-human animals alike are laid bare. The facts can be mind blowing, shattering , so overwhelming at times that one can lose faith that there is goodness in the world. Please watch the video further on, which shows you what amazing creature’s sheep are and that there are people who treat them with the respect and the love they deserve, as indeed do all animals. There are many delightful antidotes about sheep concerning sentience and intelligence, however the main thing to consider is their potential to suffer. Time to show some compassion, the cold-blooded indifference to the suffering of animals in the form of animal experiments needs to end, experiments should be banned once and for all. No animal whether a sheep, a primate, a rabbit or a rat – or a human being for that matter – should ever be experimented upon for any reason whether it is the more fickle waste of a precious life for the sake of vanity as in the testing of cosmetics or the use of animals in the fight against disease. If you use cosmetics or medication you should do so at your own risk. Many medicines have been licensed for use as a result of animal experiments only to find a couple of decades later that there is a health hazard. Never forget the disastrous tragedy of thalidomide; how many animals suffered to test a drug that in the end resulted in deformities of babies growing in the womb? We have to ask what right have we to experiment on other animals, are their lives less significant? Do humans do this because we simply can as the dominant species? Though I rather think it is a small minority who do so we are complicit if we continue to allow it and never speak out. Do we allow such atrocities to take place on defenceless creatures because animals are, according to our perspective, less intelligent, less aware and therefore of less value. What if there were no animals, would we experiment on one another, upon those lives we deem less worthy? Would scientists experiment on sick people for instance as is the case with the sheep or the elderly perhaps, the less intelligent, the poor or simply any category of person other than the dominant group. I am sure scientists would come up with all manner of rationale to justify cruel experiments. Someone commenting on You tube pointed out the sheep were already ill as though this justifies these experiments. In most societies it is thought cruel to allow an animal to suffer if he or she is pain and is facing death. Therefore allowing these animals to suffer the misery of the disease was cruel and inhumane, as was subjecting them to added torment such as the brain probe and the careless treatment of the sheep whose leg was broken, it is shameful, unforgivable and grossly immoral. Thankfully there are many people who care about animals, dedicating their lives to their care and well-being. I would like to share with you the following article and video which I found so uplifting. http://www.care2.com/causes/sheep-survives-fire-and-gives-birth-to-miracle-lamb.html Please take the time to write letters to the above people. Act Now: There is still time to stop this horrific celebration of the summer solstice in China where 15,000 dogs are to be slaughtered. There is still time to stop this horrific celebration of the summer solstice in China where 15,000 dogs are to be slaughtered. What this has to be with this celebration I cannot imagine. To celebrate a highlight in the course of a natural event – the longest day – with a blood bath is appalling. Each year in a town called Yulin in China, 10,000 to 15000 dogs are slaughtered every June as part of a summer solstice “festival”? “On June 21st, over 10,000 dogs are expected to be slaughtered in a town called Yulin in China for its dog meat festival. This is our last chance to stop the dog slaughter before it’s too late. While some cultures do not consider dogs as domesticated animals, the slaughter of thousands of innocent animals is worth speaking up against. The festival has been canceled before. If enough people speak up, we can stop it once more. If you have not already signed the following petitions below please do so now. The more people who do the better the chances of stopping this. Please begin with this petition which is really an email. It is all written for you , you merely have to add your name and email address. http://asiaforanimals.com/yulin-dog-festival – this will be sent to 200 Chinese Embassies world-wide. Please at least sign this even if you cannot sign any others. 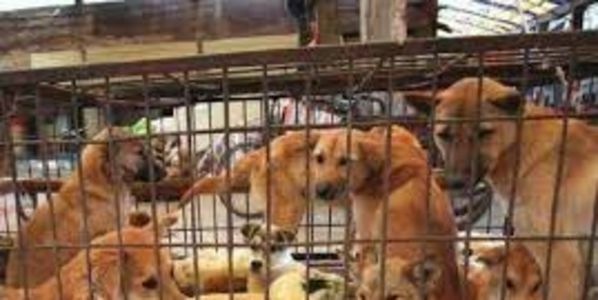 Stop Killing Dogs for Annual Yulin Dog-Eating Festival!! Please act now and spread the word on social media. Remember it is not too late to act, we might get this stopped if there is enough international pressure. It is worth a try the petitions take only a few moments to sign. It has to be said that the slaughter of billions of farm and sea animals world-wide is just as shocking and we should never forget or become complacent about this. However if we can but stop one such savagery and brutality it will be progress indeed. The longest day, a mid-point, where the sun stands still upon the horizon. This marks the height of summer and the solar principle in its full radiance while the earth too is reaching fullness. On the map of human existence, mid-life is a time of self-exploration, consideration, choice, rejection and deciding which road to take. This is a bit short notice I know, but I did not get the e-mail from Free Tibet until yesterday. If you are able to join the peaceful protest outside of Downing Street on Tuesday 17th June please do so. We can send a message straight to China’s leadership that it must end its occupation of Tibet. If you can, please join the peaceful protest at Downing Street next Tuesday. The Tibetan Community in Britain, Free Tibet, Students for a Free Tibet UK , and Tibet Society . If you use Facebook you can view the event and share with your friends too. Do attend the protest if you can and support the people of Tibet who struggle with oppression day after day. Tibetans in Tibet never stop resisting China’s occupation of their land. At great risk, they stand up for their rights against the largest dictatorship in the world. Their courage and resilience deserves the support of the global community. China must not be allowed to believe that the world will turn a blind eye to its illegal occupation and shameless abuse of human rights. Despite the lack of international support, including the UK, the people of Tibet continue to hope that one day they will be free from the tyranny of Chinese rule. Watch the video: What’s China Doing in Tibet? Stand in solidarity with the Tibetan people and support the protest. 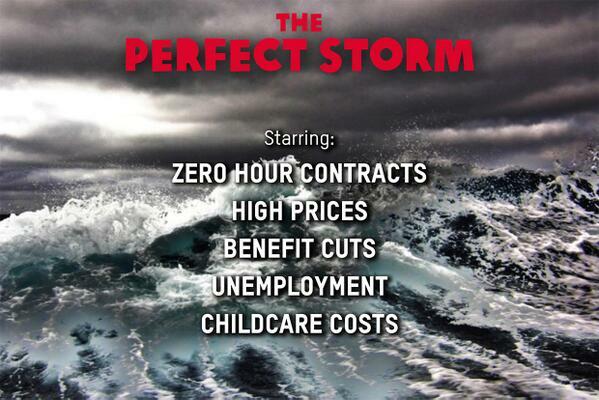 Lifting the lid on austerity Britain reveals a perfect storm – and it’s forcing more and more people into poverty. pic.twitter.com/2MzzyMXcsU Well done Oxfam! Finally a charity has spoken out in no uncertain terms concerning the cause of the dramatic increase in devastating poverty here in the UK. I once worked as a volunteer for Oxfam in one of their shops some twenty years ago – back than the very idea that Oxfam would need to speak out against poverty here in the UK was unthinkable. How times have changed. The fact that a charity such as Oxfam, dedicated to helping poor people globally, needs to turn its attention to the UK is shameful. Why? Oxfam have told the truth. Austerity has plunged people into poverty, thirteen million to be exact, including 1.3 million children, destroying lives of all but the very rich. How many know that almost a third of all children live in poverty and that 1.6 million of these children live in severe poverty. Oxfam support the poor and oppressed in this greedy manipulative world where the rich exploit others to gain wealth beyond the imaginations of most people, even here in the rich west, in the 6th richest country in the world. Though the UK is one of the world’s richest countries, many of it citizens most certainly are not. It is time more charities took Oxfam’s lead and spoke out instead of supporting or ignoring the violation of human rights here in the UK. In fact it is time more of us spoke out, how can we sit by while thirteen million people live in poverty while Britain’s richest people are wealthier than ever before with a combined fortune of almost £520bn. During the past year the total wealth of the richest 1,000 individuals, couples or families jumped by 15% while millions of people become devastatingly much much poorer. Why do we allow this, why do we not question the morality of a small percentage of the population having vast wealth while the majority of us live impoverished lives, slaving away our precious existence for low wages simply to make others rich, watching our children face the same prospects or even bleaker prospects. There can be few people who do not fear for their children’s future. Things have to change and more of us need to speak out. The truth is the truth and Oxfam have stated the truth and I appalled them. Thank you so much for speaking out for poor people in the UK . Your amazing poster says it all. Thank you for supporting those who are struggling under the weight of austerity measures, it is just so refreshing to know that finally there is someone brave enough to challenge this violation of human rights, this the gravest of social injustices here in the UK.